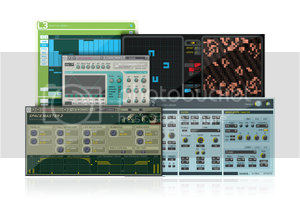 Native Instruments Reaktor and The Finger Category: Music Have just added Native Instruments Reaktor to my sonic arsenal. Although I've owned the program for years, it seldom saw action till now since I've lately learned to design my own instruments to do certain jobs for my next CD. In addition, I bought Tim Exile's Reaktor program- "The Finger". This software gets some quite unusual MIDI effects, which, when controlled from a Ztar, sound amazing and different from what Tim gets when controlling them from a keyboard.